Jeff Bridges is teasing the return of the Dude on social media. The actor just released a 15-second video of himself in character walking to his iconic theme song, "The Man in Me" by Bob Dylan. Bridges recently reunited with John Goodman and Steve Buscemi to celebrate the 20th anniversary of The Big Lebowski, but it is unclear if this has anything to do with that. However, the actor captioned the video with: "Can't be living in the past, man. Stay tuned." February 3rd, 2019 appears at the end of this new video. That date is when the Super Bowl takes place, so we're more than likely looking at an elaborate big budget commercial featuring The Dude. However, it isn't clear exactly what that is at the moment. Both Jeff Bridges and Bob Dylan are no stranger to appearing in commercials, especially Super Bowl commercials. But, the actor has only 'channeled' the Dude in commercials before. He is clearly playing 'The Dude' this time around and the video has a 2019 Universal copyright notice at the bottom. Wishful thinking obviously leads to The Big Lebowski sequel, but that is highly unlikely. Jeff Bridges has expressed interest only if the Coen Brothers ever came up with an idea. When asked about it in 2017, he said, "I'm sure it'd be a cool thing." While that idea probably won't ever happen, fans have been calling for the continued adventures of The Dude for nearly 20 years. The Big Lebowski has become what Bridges is best-known for, so it's understandable why people want more, but the Coen Brothers have stated on many occasions that a sequel will never happen. While a sequel to The Big Lebowski is questionable, John Turturro has been working on Going Places, which is a spin-off movie where the actor reprises his Jesus role. The project is a remake of the 1974 French film of the same name by Bertrand Blier with The Jesus thrown into the mix with Bobby Cannavale and Pete Davidson co-starring. The Coen Brothers don't have anything to do with the upcoming movie, but they were blown away by the idea. 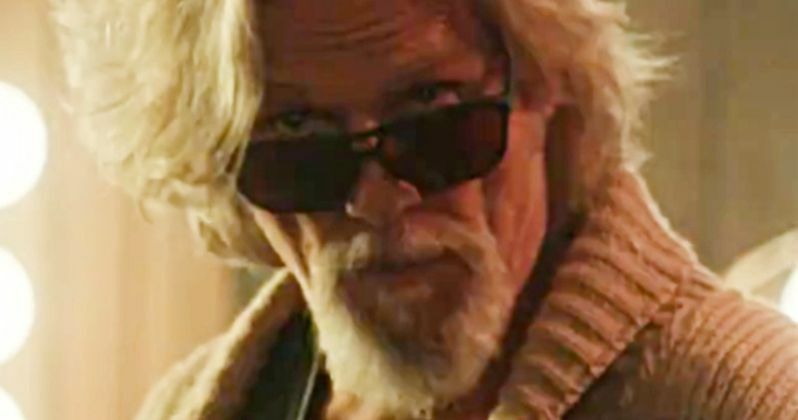 It isn't clear if Jeff Bridges will reprise his role as the Dude for Going Places to star alongside John Turturro's The Jesus again, but a Super Bowl commercial to announce the movie seems just as unlikely as The Big Lebowski sequel idea. Instead, we're probably all being teased with a giant commercial for beer or Doritos. The Super Bowl brings out some pretty crazy commercials, but this one seems to be on par with last year's Crocodile Dundee in terms of excitement. Who knows? Maybe Bridges is teasing something bigger than a commercial. We'll just have to wait until February 3rd to find out. You can watch the teaser video below, thanks to Jeff Bridges' Twitter account.